You can also access the Toast API using the DPF for Android suite of Delphi Firemonkey components. 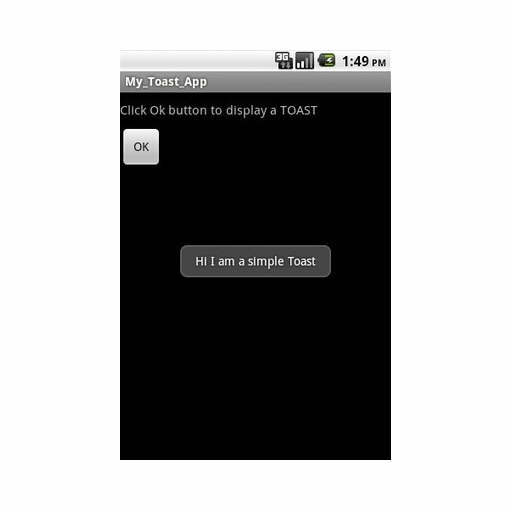 Check out the source for the Toast API and the Toast like cross platform messages on Google Code. https://code.google.com/p/fmx-extensions/source/browse/trunk/?r=5#trunk%2FLib%2FAPI … but the native toast code is from Brian Long ( http://blog.blong.com/ ) and the unit FMX.AndroidLike.Toast.pas is coded by me. I cannot get the toast component to work. Keeps asking for FMX.AndroidLike.Toast.dcu. I have put the path into the Libary path. The strange thing is it works when I select Win32 as the target but when I select Android it give above error. Could it be that you did not add the path for the case of Android Build Target or that you did not recompile? Not sure how/where to do this? Sorry my message did not come out how I wanted it. Tools/Options/Delphi Options/Library Path & Searchpath. Above the options you can see a combobox labeled something like “Selected Platform” – be sure to select Android there before adding the paths. Thanks. I did not see that you had to set the path for each platform. moment it wraps the text which does not always look so good. Yes – good idea – I put it on the ToDo list. I am using your Toast unit, thanks to implement it. Why dont you create a repository for it also? – I am using it as a large band in the middle of the window, It works fine, however after the timer event is fired and it gets “closed” actually the rectangle remains there, and consumes all the mouse clicks. I thought I was suffering another FMX bug then I realized was the Toast area. I believe using small rectangles you did not noticed that. – The other problem is that for unknown reason in one of my projects I removed the component and replaced it again, and since there is a tabcontrol with animation to switch pages the toast rectangle is anchored in one of the pages and I see it passing by when the page is animated for change. I dont understand why, since I have another exact copy of this project where I did not remove the component and the Toast message is on the form level. If you could fix that bug when closing the rectangle I would appreciate much. Just put a TEdit and open a Toast over it and you can see the problem after closing. You cannot select the TEdit anymore. Hi. I will check this and post here when a new version is there. Hi. I downloaded the new install but could not find a Wordwrap property. It is definitely in the source of the unit FMX.AndroidLike.Toast.pas in the download (check if this is the case in the unit which you use for development). You should recompile the component package and should be able to see the wordwrap property in the objectinspector. and provide your email on this way to me.